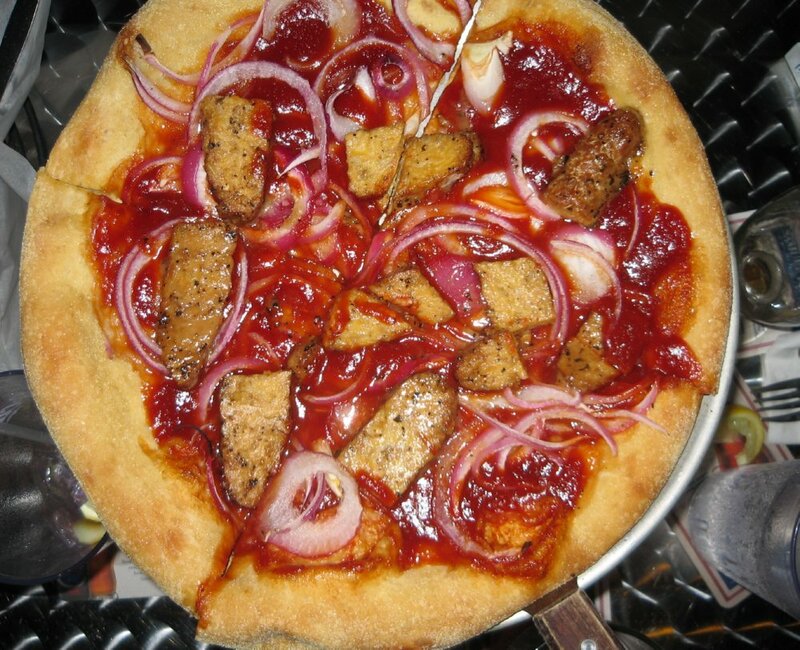 have you been to mellow mushroom? they seem to be a large chain these days, so you probably have. a few of my friends were heading out for dinner last night, and we met up at the delray beach location to have some beers & food. if you are into beer, mellow mushroom has a colossal collection of 100 beers; 50 drafts, and 50 bottles! they also have vegan options like tempeh and tofu sandwiches, and you can get them as toppings for pizza too. some stores even have vegan cheese, and have started carrying the daiya brand. (unfortunately the delray beach location does not have vegan cheese. i’m going to send them a note on their facebook page!) if you order the pretzels plain, they come with mustard & marinara dipping sauce, also vegan, and yummy.